If I could force everyone in the world to read one book, it would be this one right here. 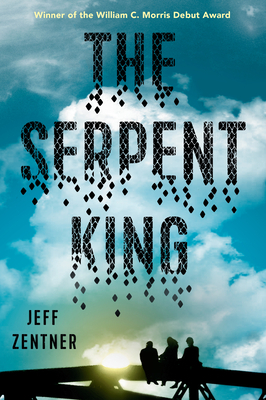 You cannot go wrong with a book by Zentner, but his debut, The Serpent King, is one of the most stunning novels I've ever read. Lyrical, insightful, and simply gorgeous, this book has something for everyone. Told through the eyes of three best friends in their senior year of high school, Zentner seamlessly voices these different perspectives: one of being afraid to leave the only place you've ever known, one of longing for something greater than your surroundings, and one of being perfectly content where you are. I own this book in every format for a reason!